I wanted to take a moment to briefly document how to install web manifests in InforCRM. This is pretty basic functionality, but I thought it would be helpful to have it documented here as a reference. Web manifests for InforCRM are zip files which contain XML files containing definitions for the items included in the manifest. 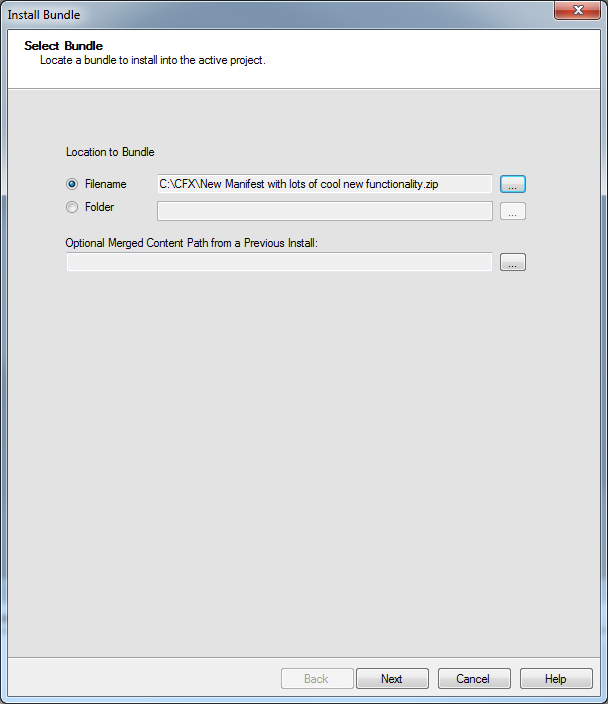 Installing web manifests involve a simple process in Application Architect. 3. On the next screen, you are shown any conflicting items. You can expand the entity model and de-select individual items for install. Keep in mind any inter-dependencies, and only deselect items if it won’t break other functionality. Click “Next” when done. 4. If there are any LAN specific items (picklists, new tables/fields, etc. ), you will get a second screen showing those items, also giving you the option to prevent individual items from being installed. Most often, you will just click through. After hitting “Next”, InforCRM will begin installing the manifest. 5. 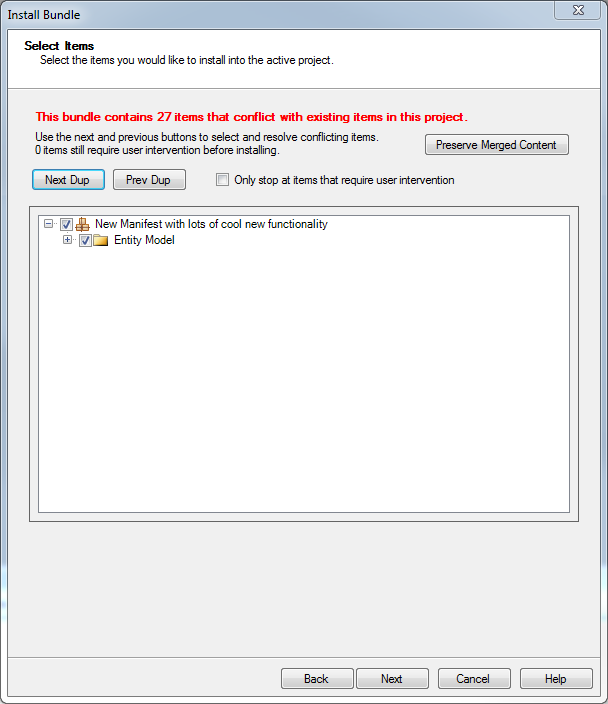 After the install is complete, you should see the new manifest in the Bundle Model in the Project explorer. 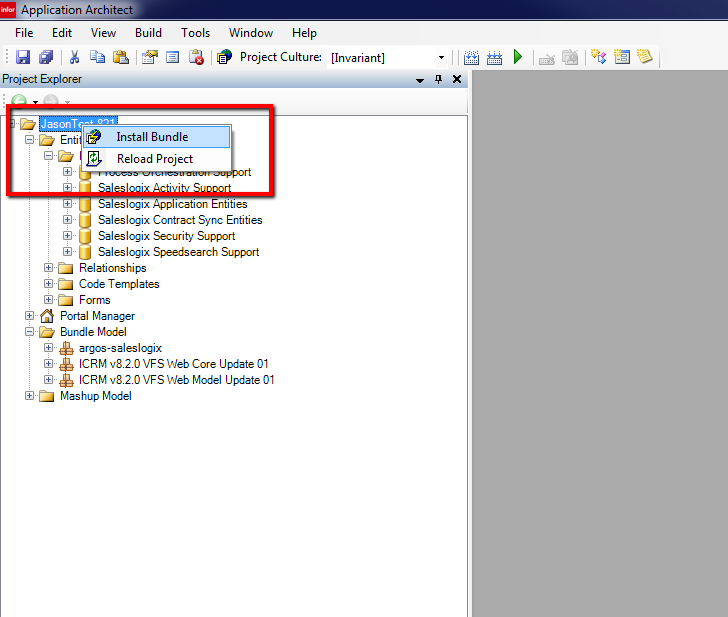 At this pont you need to build and deploy the changes installed in the manifest. Click the “build web platform button” to start the build. 6. After the build has completed successfully, you will need to deploy. 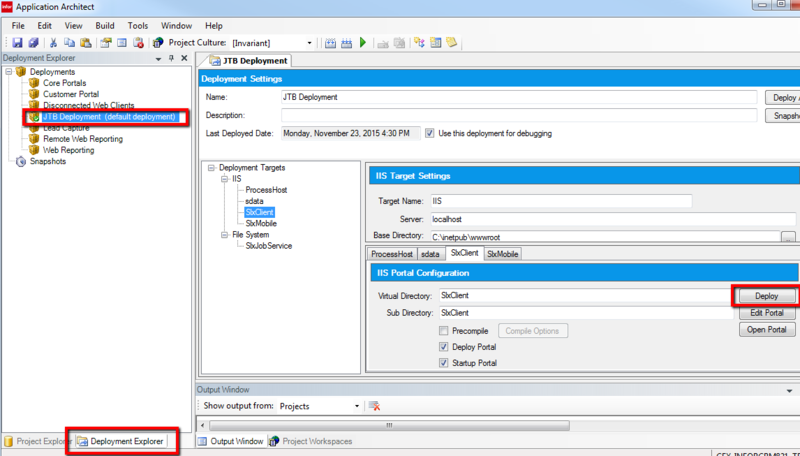 In the deployment explorer, double-click your default deployment to open it, select the SlxClient Deployment Target, and click the “Deploy” button. Once the deployment has completed successfully, you should be good to go! The deployment process will kick any currently logged in users, and the initial login after the deployment will be considerably slower that normal, which pages are cached in the background. 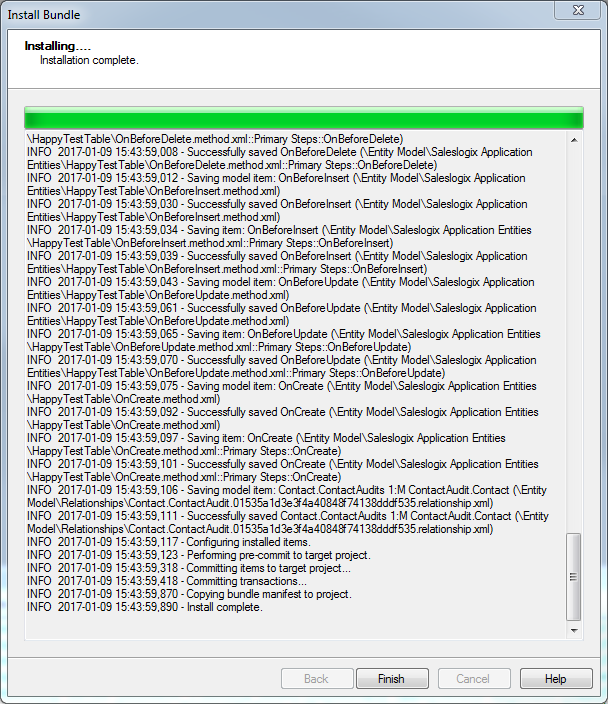 Other than that however, your installed functionality should now be available in InforCRM.